In the month of June 2016 Staat van Beleg could list 590 human rights violations (and 123 reports/analyses). We have been working on this archive for a year now and we have been witnessing a year of shocking numbers of human rights violations and victims of the occupation. In the period between October 2015 and March 2016 we could see a high rise in extra-judicial executions followed on alleged stabbing attacks. A lot of victims fell in and around Hebron City where the Israeli authorities sealed off most of the area over the last year. Human Rights activists and monitors were driven out by the occupation forces and local radio stations were closed down. A dangerous development! Since the beginning of April 2016 the alleged stabbing attacks decreased. But the killings did not stop! In the picture above (photo credits Nasser Shiyoukhi) we can see relatives of Arif Jaradat, a 22-year old with Down syndrome who was fatally injured by Israeli occupation forces, mourning over his body during his funeral in Sair village near the West Bank city of Hebron, 20 June. In another incident this month Israeli soldiers opened fire on a car of young Palestinians returning from a late-night pool party celebrating Ramadan, killing 15-year-old Mahmoud Badran and injuring four others. The army has admitted the Palestinians were bystanders, saying they were “mistakenly hit”. And what about the two separate incidents from last April of bodies that were found dead in a water well, both in the Hebron area? Will we ever get updates on these tragedies; will there be a proper investigation into these killings? For this reason Staat van Beleg made up a list with all the Palestinian victims of the occupation over the last twelve months with links to sources to remind ourselves and the world of all those – mostly young – lives, taken by a ruthless regime. 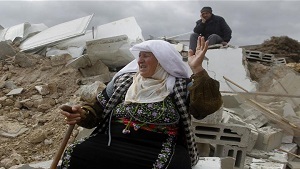 In an additional list you can find an update of the Palestinian victims outside Palestine: Palestinians killed by the Israeli army/victims of the occupation in the period of 1 july 2015 – 30 June 2016. 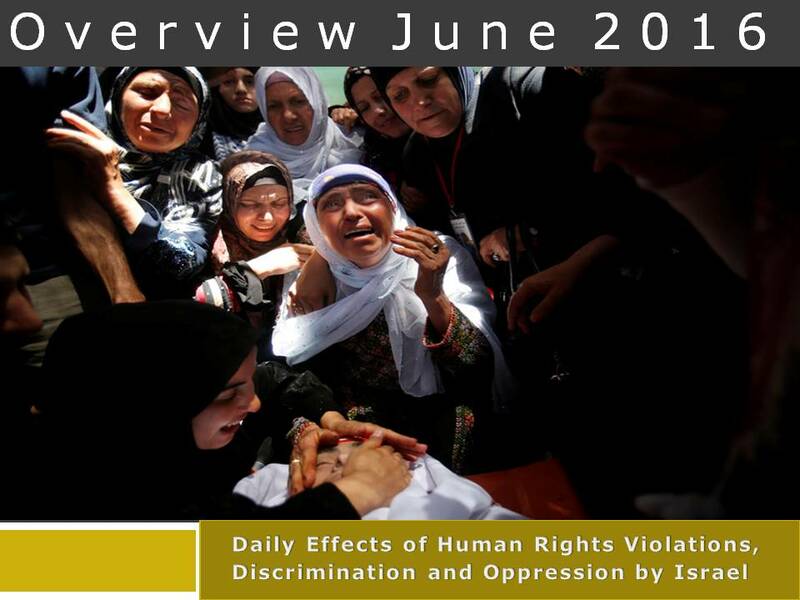 Finally we provide you with an overview of violations by Israel over the last year per category.